Paranoia will annoia, and how can we know? Took five-teen minutes to load. Had two different browsers going. One is still loading. My spidey sense tells me something is being repressed. There's an Assange/Wikileaks thread on the "Heros of the Revolution" board. This site doesn't load for me at all. I get the header and then a blank page below it. We need a genuine weird fuckery link to post these fun discoveries too. But real genuine weird stuff like this. The stuff that is you know it when you see it weird stuff. The know it when you see it wierdness thread. That could be it! The genuine weird fuckery thread. When you are not quite sure if its paranoia or our tax dollars at work. As for Unicorn Riot. Eventually it will load. You don't have your own Newz Channel as of yet. Why don't you make a channel and create the thread there? Yeah, good idea. Just because I have it does not mean I have to put something there every day but when I do. Well Then. Re: Paranoia will annoia, and how can we know? Every woman wants to get with the most interesting man in the world. Even lesbians! So I'd say it's an official MeTwo zone. Who is the "most interesting man in the world", and what makes him so interesting? You should watch the embed. The most interesting man in the world does the most complicated things you can imagine with ease and grace. When opportunity knocks and TMIMITW is not home opportunity waits. The most interesting man in the world needs no preps. TMIMITW fears not doom. Something Interesting and that's all. How has it come about that so many people have adopted this strange attitude of hostility to civilisation? I call an animal, a species, an individual corrupt, when it loses its instincts, when it prefers what is injurious to it. 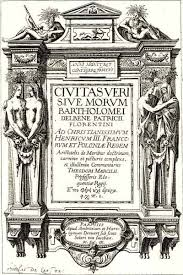 ‘Civilisation’ has as its Latin root civitas, the body of citizens comprising a state, usually a city-state of the type hypothesised by Plato in the famous Republic. The word already implies a measure of social cohesion, co-operation and mutual facilitation towards a greater goal, the well-being of the populace, the good city. It isn’t that Gandhi’s peasant, idiot savant witticism was wrong but, as Hamlet says, the time is out of joint. It isn’t that civilisation would be a good idea; it’s that it was a good idea. The civilisations men – all those despised dead white males - have built, the ones they have aimed to build and failed, Plato’s res publica, the public entity, Augustine’s civitas dei, the city of God here on earth, the civitas solis of the alchemists, the city of the sun, splendour and magic. And look at the worthless tenement we ended up with, all iPhones and The Great British Bake Off and Nelson Mandela. Civilisation doesn’t require a meditative stroll through a Renaissance art gallery while quoting Dante and Kant. That is a part of it, but not the sine qua non. Civilisation is rather the hundred daily kindnesses observable even in our rather unpleasant cities. As we import cultures, from Mohammedanism through crony capitalism to rap, these kindnesses will become vestigial, an antiquarian curiosity. It won’t do. The writing is on the wall for Western civilisation, certainly in the incarnation of its historically dominant white ethny. Our time, the time of the white man and woman, is over now. As a good friend of mine says; it’s someone else’s go on the pool table. Fine. Let’s hand history over to Islam, or blacks, or China. Let’s give it a hundred years or so, and see how it rolls. You’ll be aware of the Hollywood genre movie in which the moneyed, suburban family man is suddenly cast out into the jungle, or urban wasteland, or sinister conspiracy, and has to fight for his life, discovering a new skill set he didn’t know he had but was there all along, buried in the atavistic depths waiting for an opportunity to be called on. This shooting script – and there is a lot of shooting coming up – is what the West needs now. Gandhi and his state-supported, indentured kind may think Western civilisation would be a good idea, but those days are gone with the Raj. What is needed now – and what the West is going to get whether it wants it or not, like bitter medicine spooned into a bawling child’s mouth – is de-civilisation. We need to go backwards for a while. Pity the young Western boy or girl. Brought up to think they can all be models, or footballers, or rap stars. No, kids. You’ll be lucky to be stacking shelves in Tesco. We had everything, we have everything, but we gave it away, are giving it away, thanks to the traitors who sit in our marbled halls of power. Intellectual or shop-worker, banker or rough-sleeper, journalist or junkie, it’s coming your way. How will you deal with the coming collapse? Will you run or hide, or will you stand up and be counted? Will you face our Western fate like a man, or like a diversity officer in an NHS trust? We’ll see.